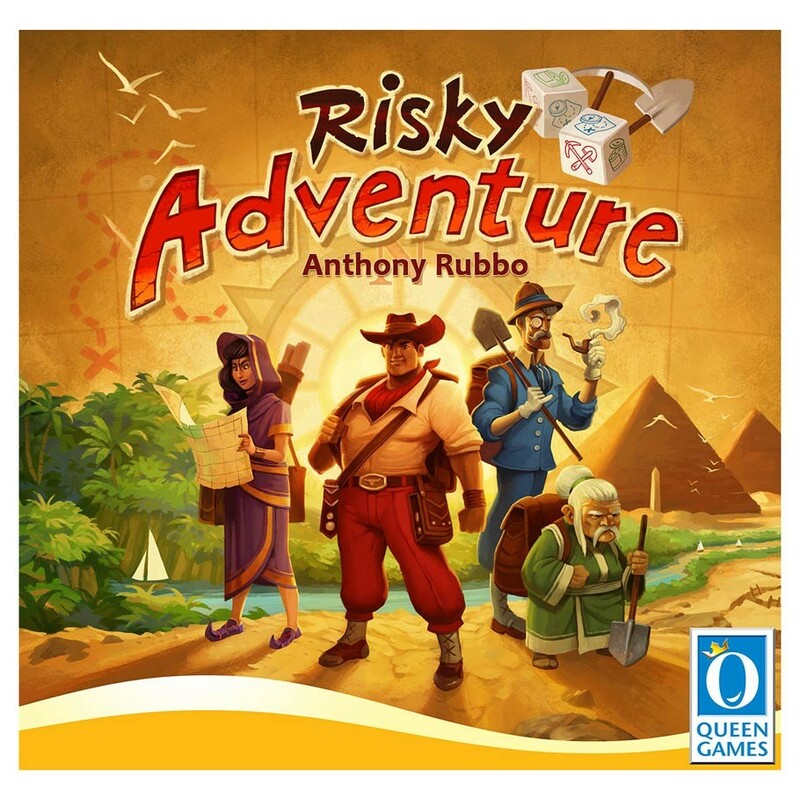 In the dice-rolling game Risky Adventure, players embark on expeditions and try to find rare artifacts in an undiscovered world. Each player assumes the role of three adventurers trying to roll the right dice combination to get equipment, discover artifacts, and find new and mysterious places. The trick: Players have to mark the things they want to roll for with their adventurers before they actually roll the dice. Assessing the risk, using the right equipment, and finding the best locations to place the adventurers will be key to win a game of Risky Adventure.